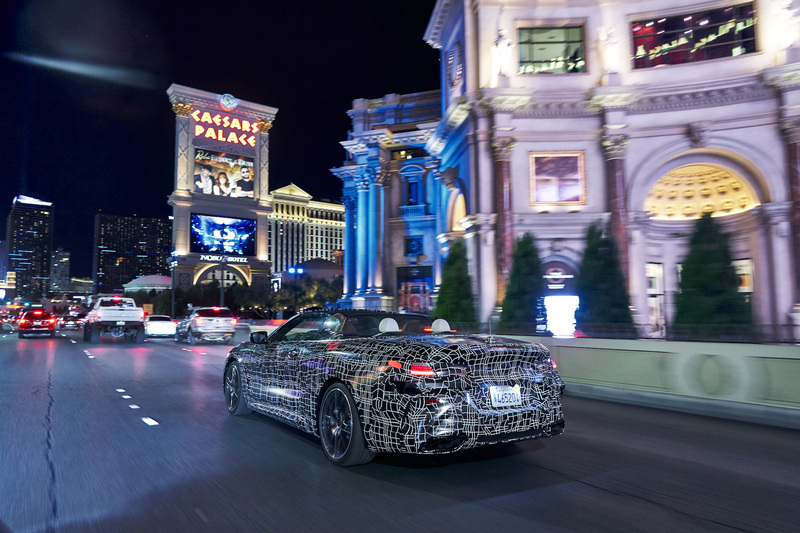 After revealing the 8 Series Coupe earlier this year, BMW is now teasing the convertible variant of the automaker's sleek coupe, the 8 Series Convertible, with action shots of the camouflaged test mule romping around Las Vegas and Death Valley. 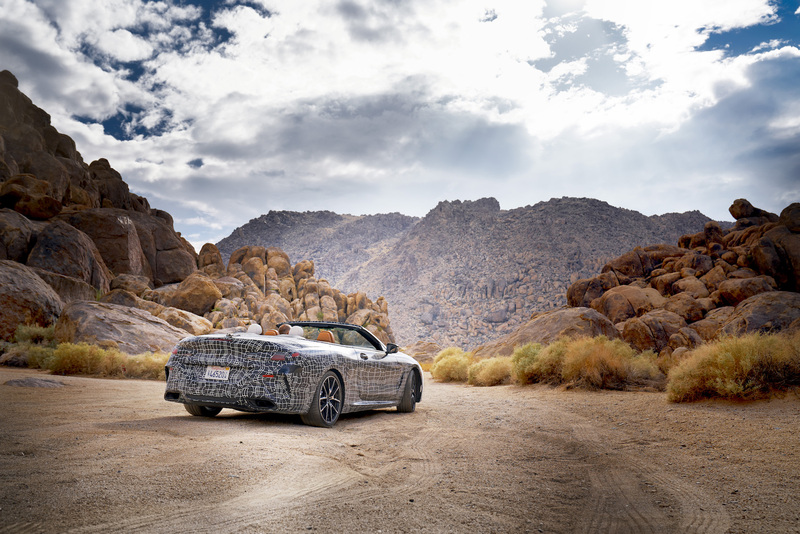 Testing the vehicle's overall performance under extreme driving and weather conditions is a critical step in the development of any vehicle, but even more so a range-topping convertible from the famed German automaker. Of course, there are few places in the world with harsher climate than the deserts of the Western United States, where new technologies and the engineering behind them get pushed to their breaking pots. With temperatures that can exceed 122 degrees and extreme dust formations along desert’s edge that can clog entire ventilation systems, the weather conditions in Death Valley aren't exactly suitable for a luxury convertible that'd feel more at home on the Vegas strip. Regardless, the extreme dryness in the Mojave Desert creates the ideal conditions to test the composition of soft materials. 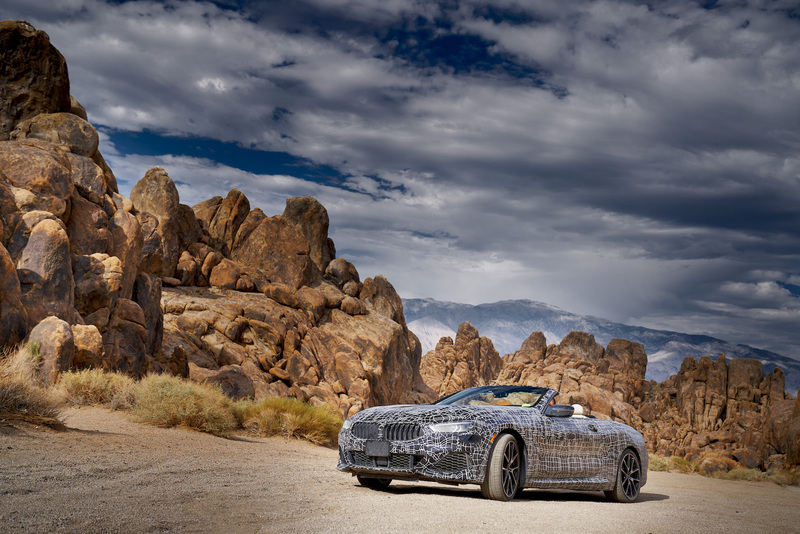 In Addition, a BMW 8 Series Convertible that has stood for hours in the blazing sun is analyzed by engineers to check the onboard electronics, the hi-fi system, sensors and cameras for the driver assistant systems to make sure they haven't been disabled by the extreme temperatures. 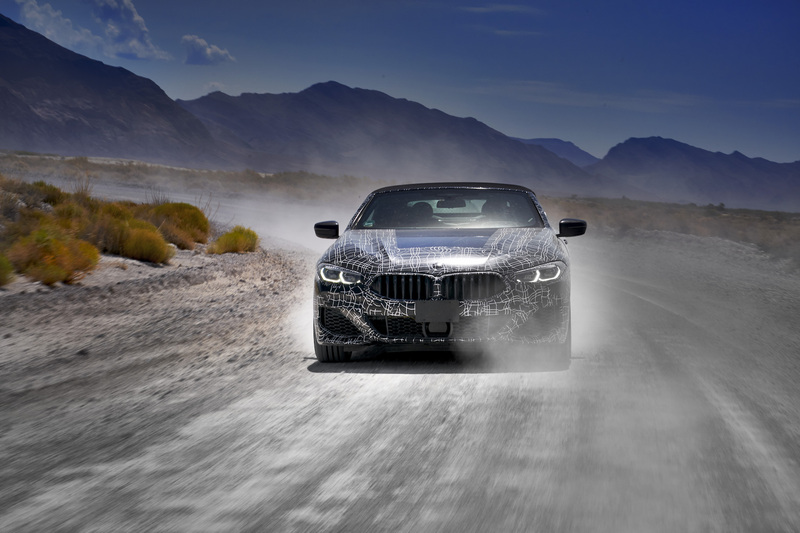 At the famous Hoover Dam, BMW set out to test how the vehicle's specialty computers hold up against strong sources of external electrical interference. The hydropower plant turbines emit extremely strong electromagnetic waves that could easily send sensors and other vital systems into an overwhelming frenzy.